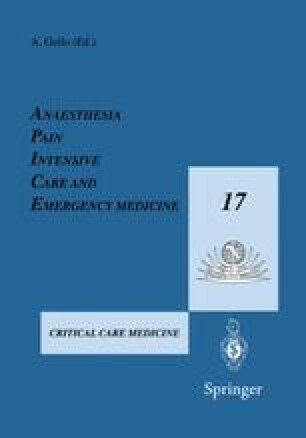 Great progress has been made during the last few decades in understanding how general anaesthetics act at the molecular level [1–3]. In fact, it is probably no exaggeration to say that more is now known about general anaesthesia at the molecular level than at the neuronal, synaptic, neuronal network, and whole-animal levels. This is a considerable achievement when one considers that only 25 years ago it was widely believed that general anaesthetics act nonspecifically, by dissolving into the lipid bilayer regions of neuronal membranes and consequently disrupting neuronal function. Progress has been made by accepting the constraint that, in order to be considered relevant, in vitro effects must be observed at clinical (rather than very high and often lethal) concentrations of general anaesthetics and by adopting quantitative technologies (whole-cell patch-clamping electrophysiology. X-ray crystallography, low-angle X-ray and neutron scattering, chiral chromatography, site-directed mutagenesis, etc.). Here we consider in tum (1) the molecular nature (lipid, water, or protein) of the sites to which general anaesthetics bind, (2) how general anaesthetics interact with proteins, and (3) which proteins are relevant to general anaesthesia.